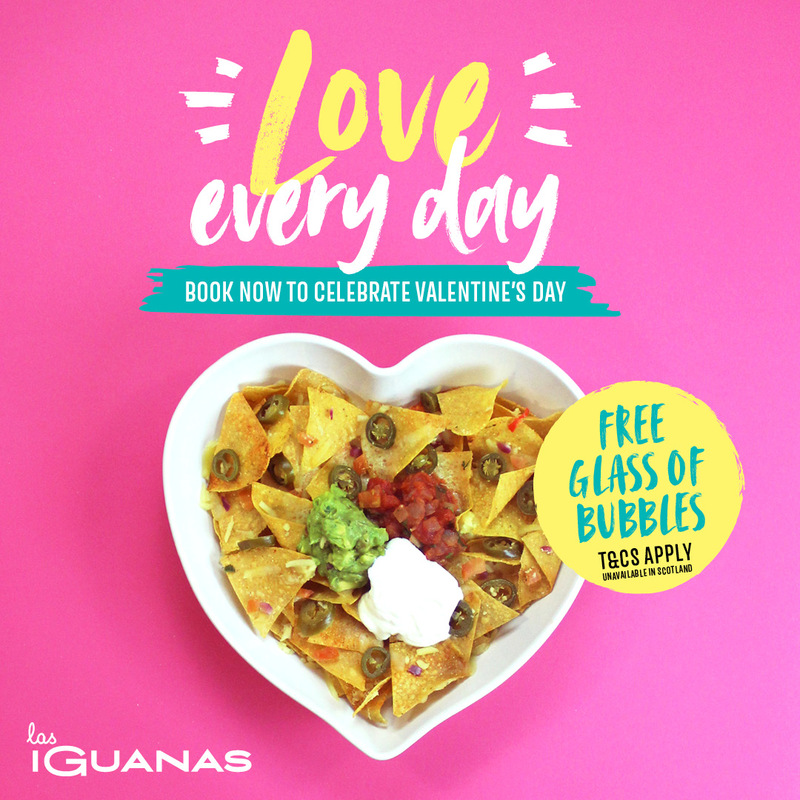 Whether you’re planning a romantic hot date with that special someone or celebrating the most romantic day of the year with the mates you love the most, Las Iguanas has got something for everyone this Valentine’s Day. But the party doesn’t end there! Happy Hour drinks will be flowing all night, with 2-for-1 deals on all the top tipples – Las Iguanas, we’re lovin’ your V-day work.